Located on a quiet road carrying local traffic only, this lifestyle property offers town living with a rural atmosphere. 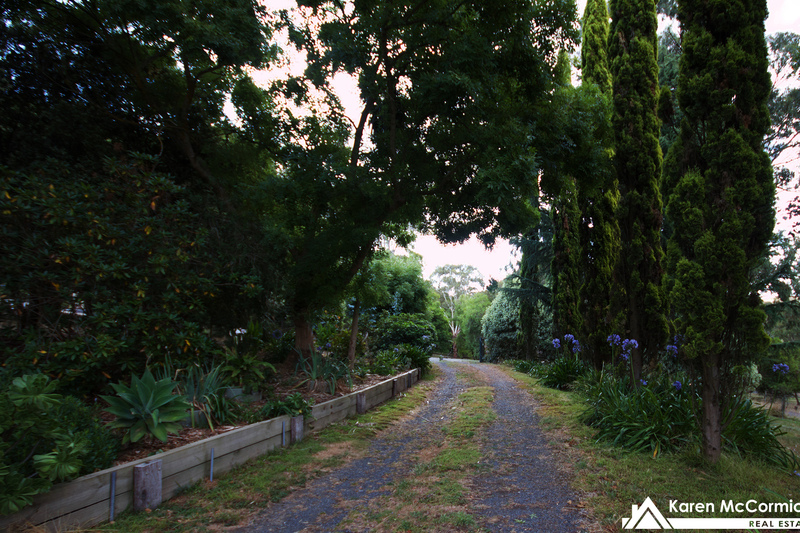 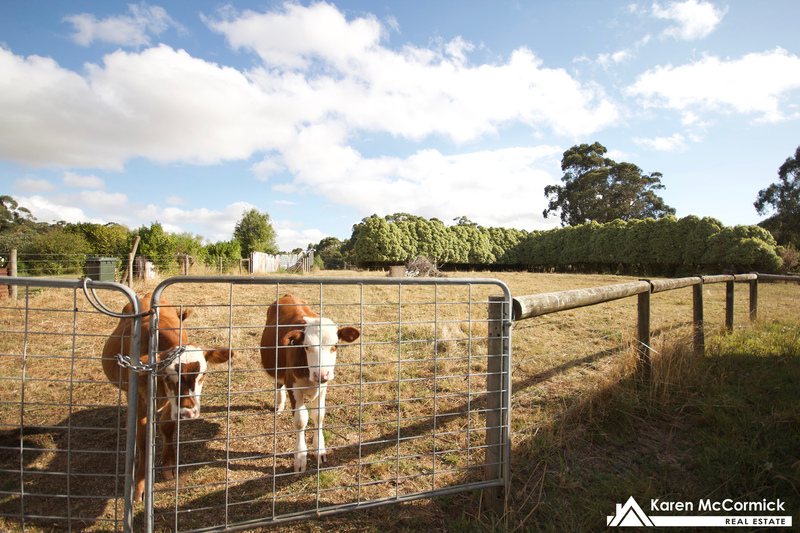 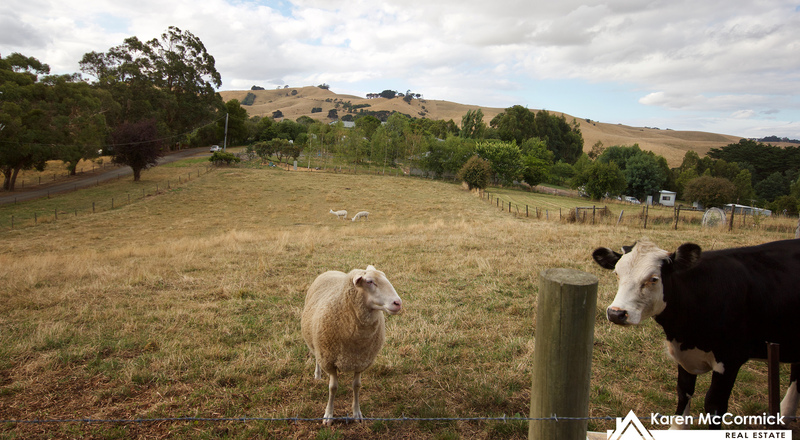 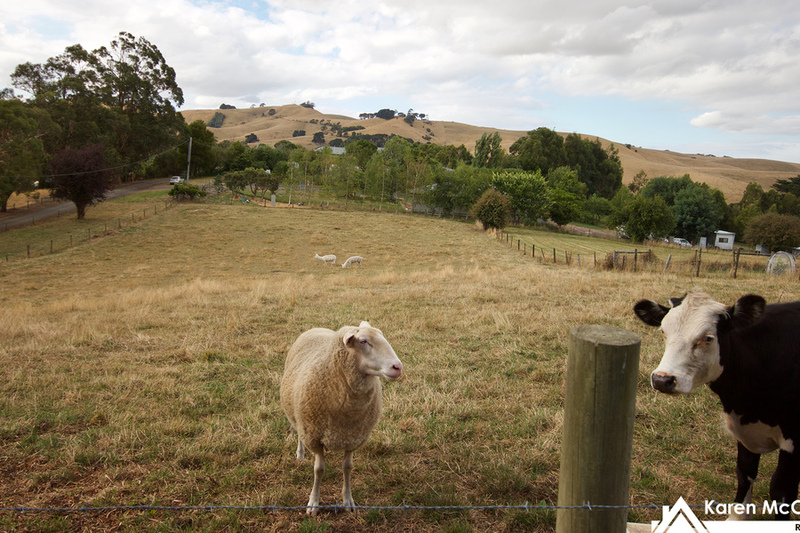 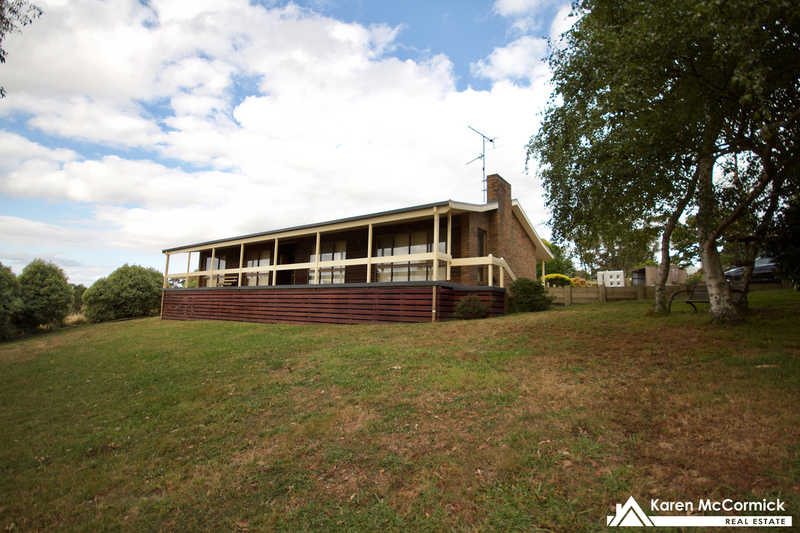 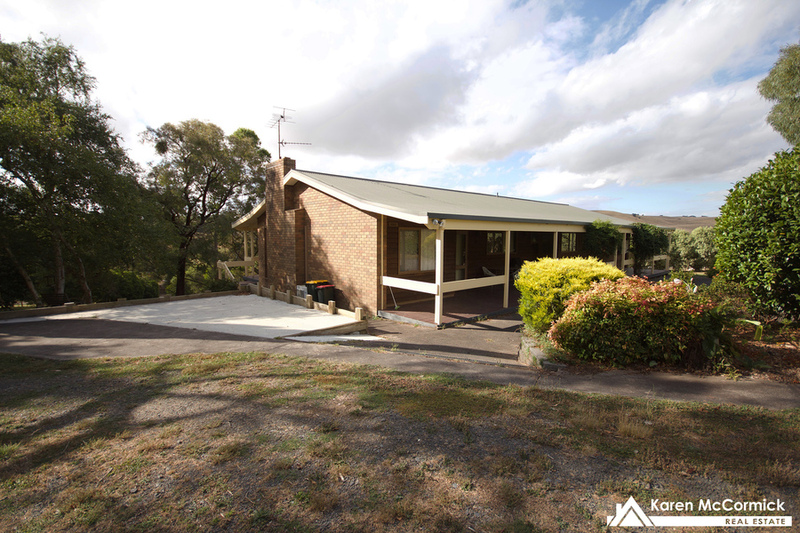 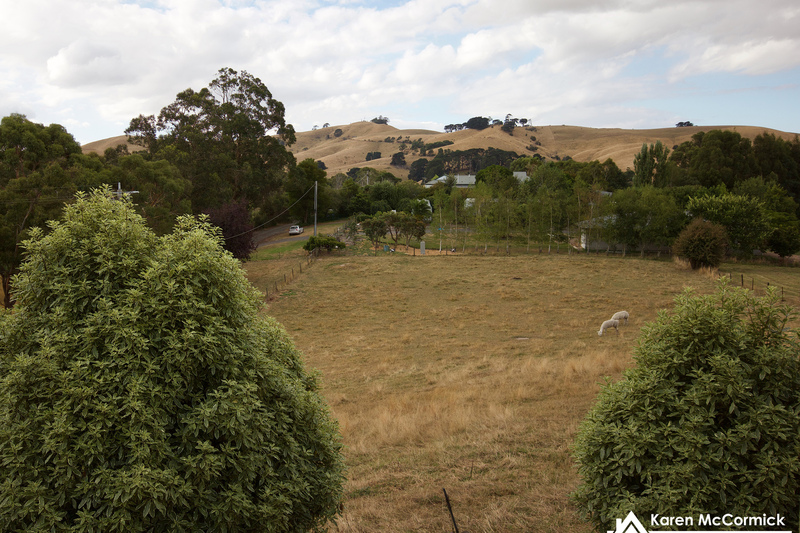 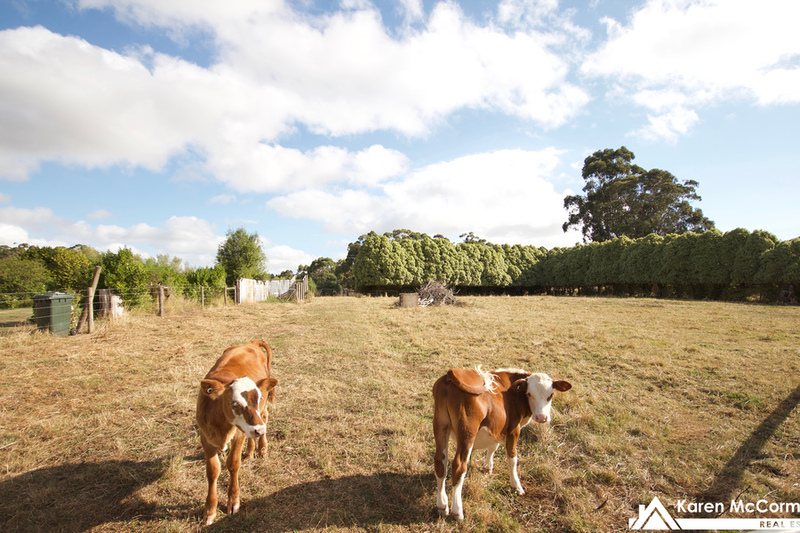 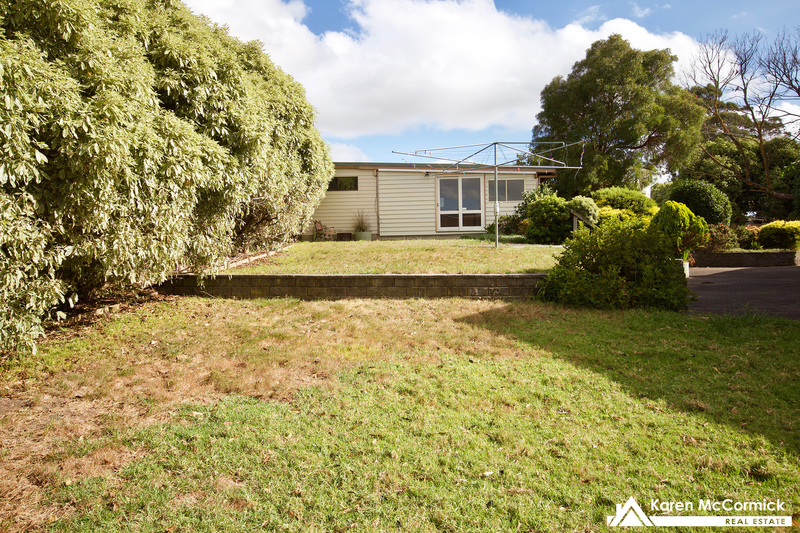 Close to the supermarket and hospital the property is 2.74 acres (approx) in size and is divided into the main house block and two paddocks for horses, cattle or alpacas. 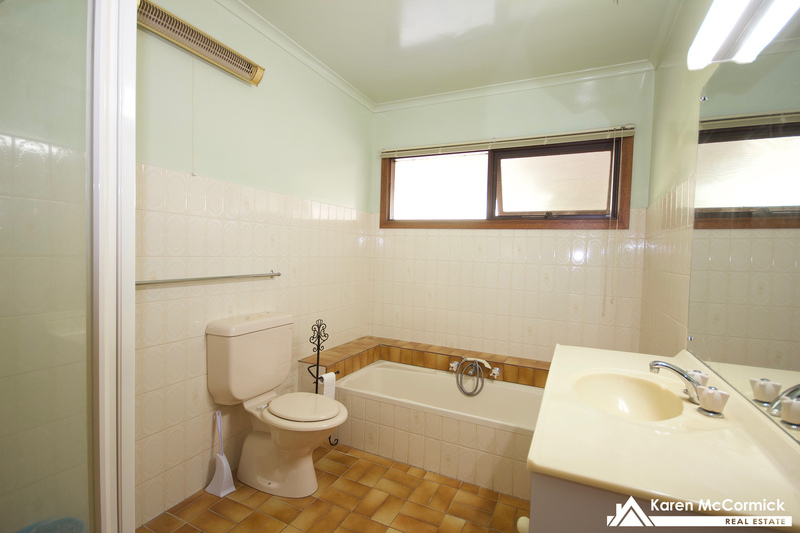 The Cedar home offers 3 bedrooms all with BIR's and serviced by the family bathroom, and separate toilet centrally positioned. 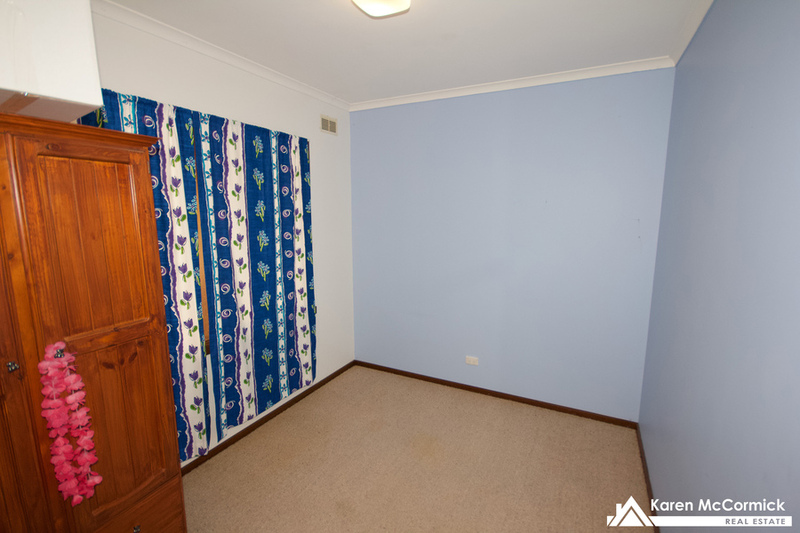 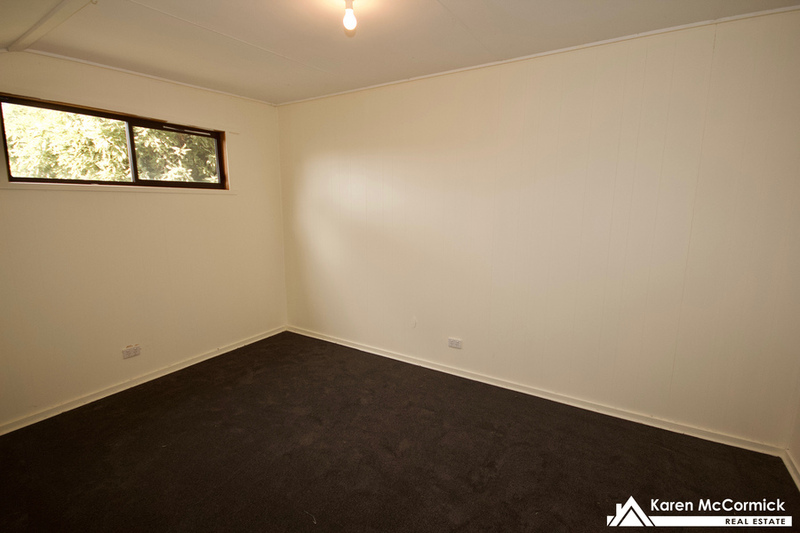 There is also a study or 4th room that could be used as an extra bedroom. 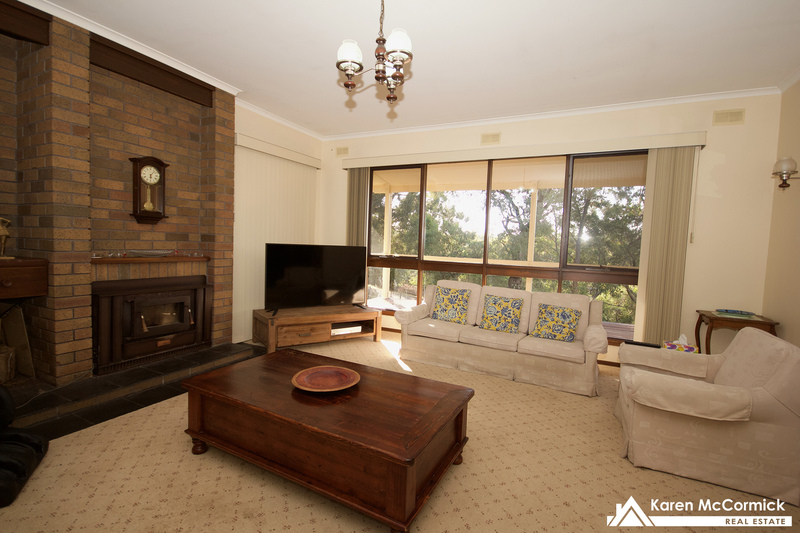 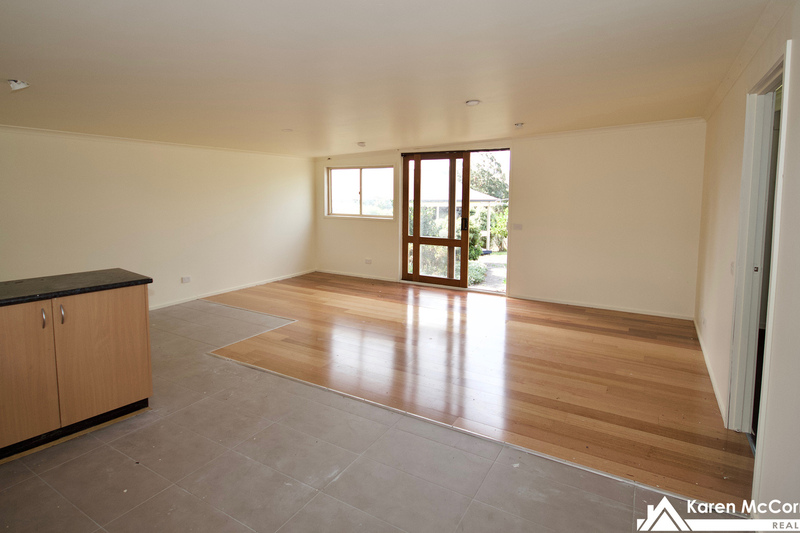 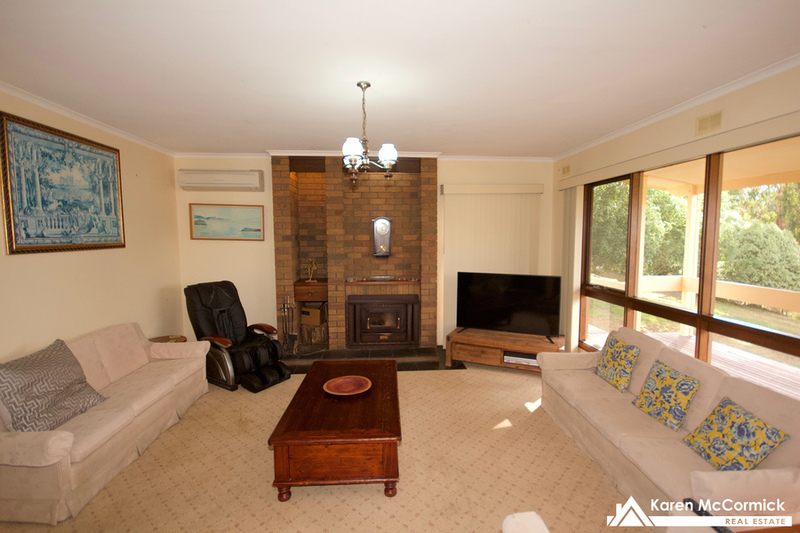 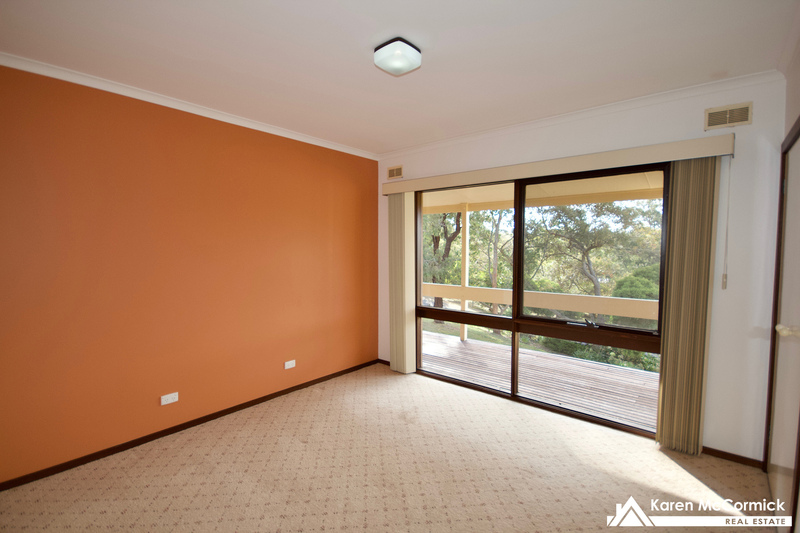 The sunken lounge room is light and airy with a split system and built in Coonara style wood heater. 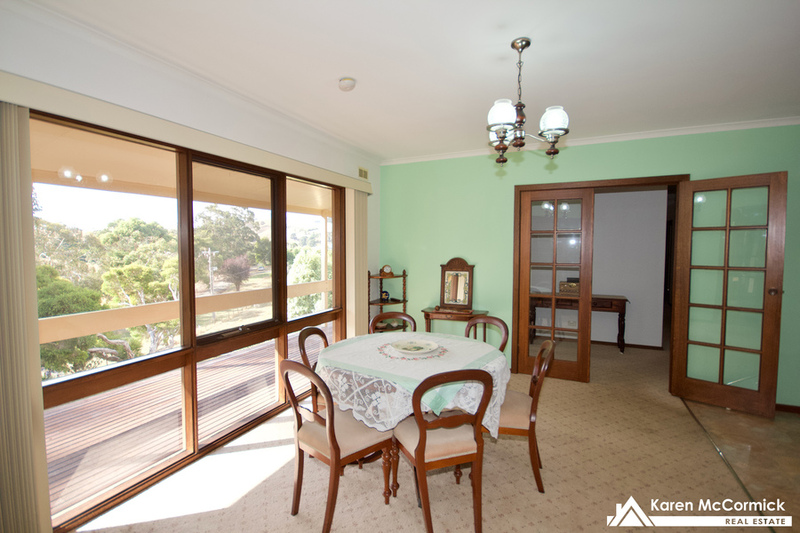 Entering from the lounge via french glass doors is the dining/kitchen. 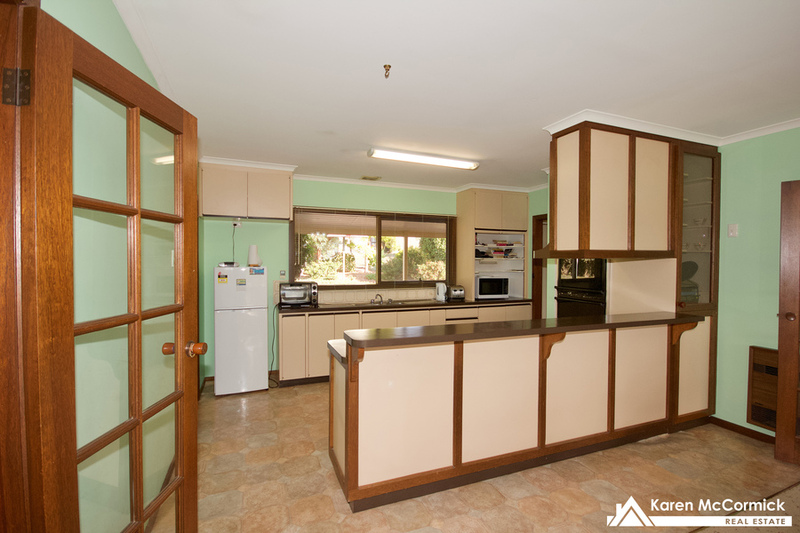 The kitchen has a walk in pantry, heaps of bench and cupboard space for storage. 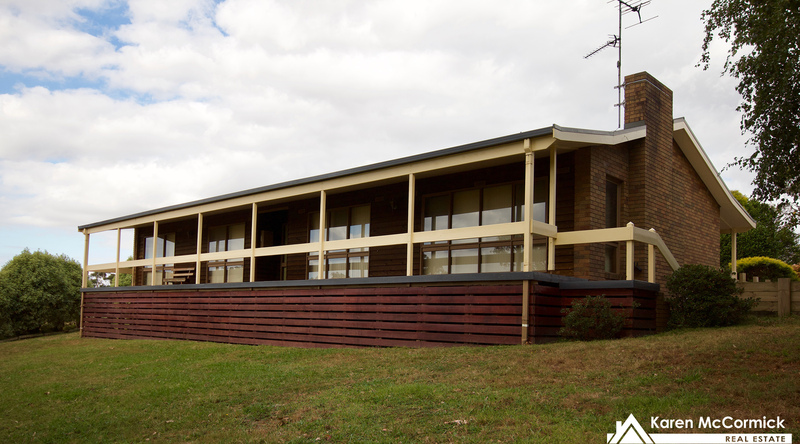 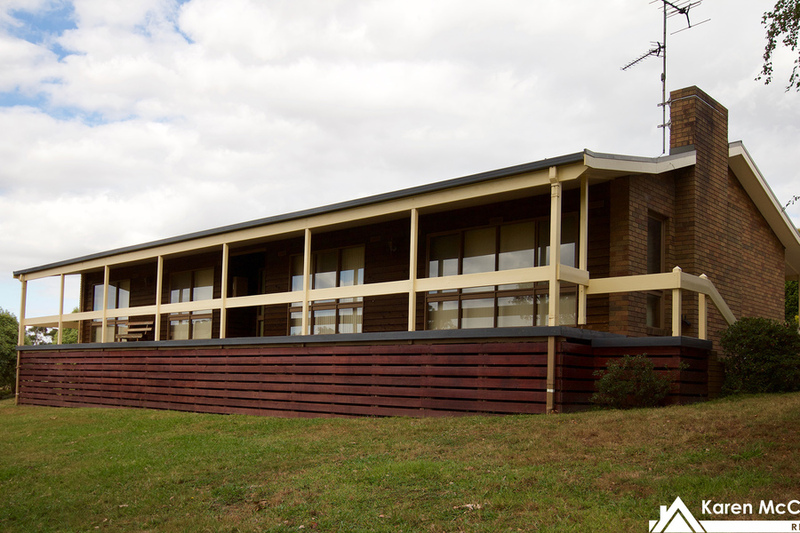 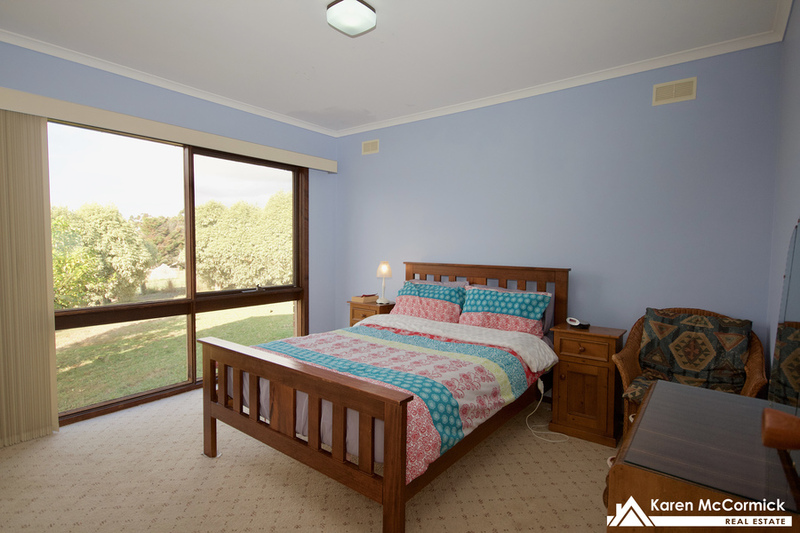 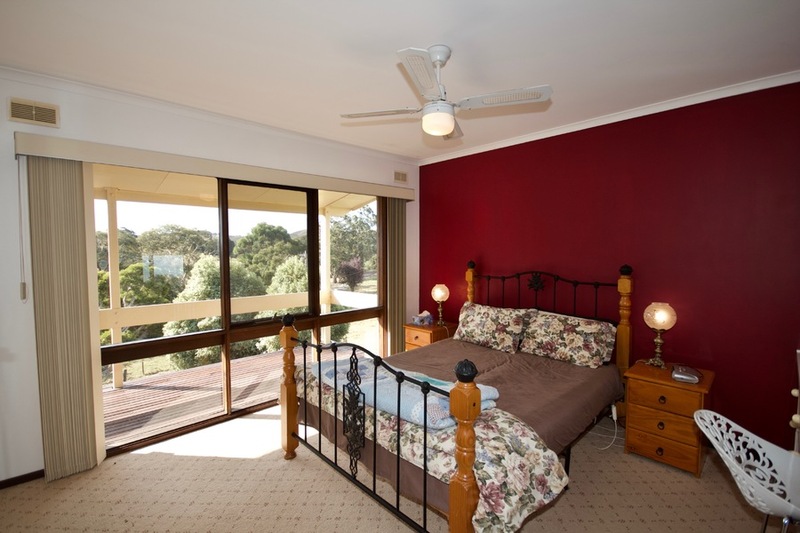 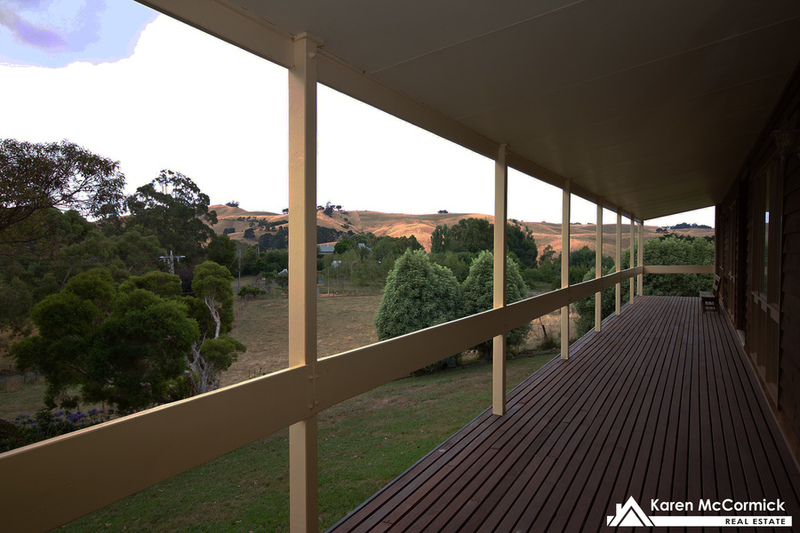 Outside you will find big seeping verandahs front and rear ideal for entertaining and taking in the spectacular views. 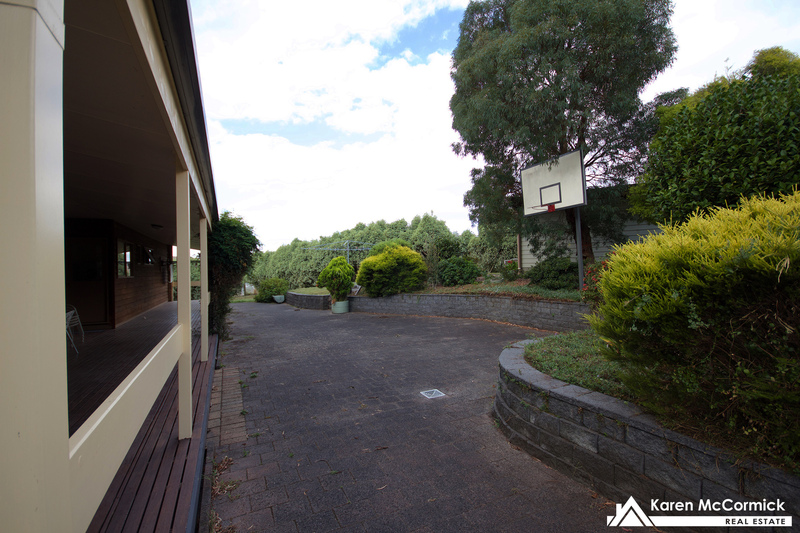 A large pave area is ideal for BBQ's or the kids to play. 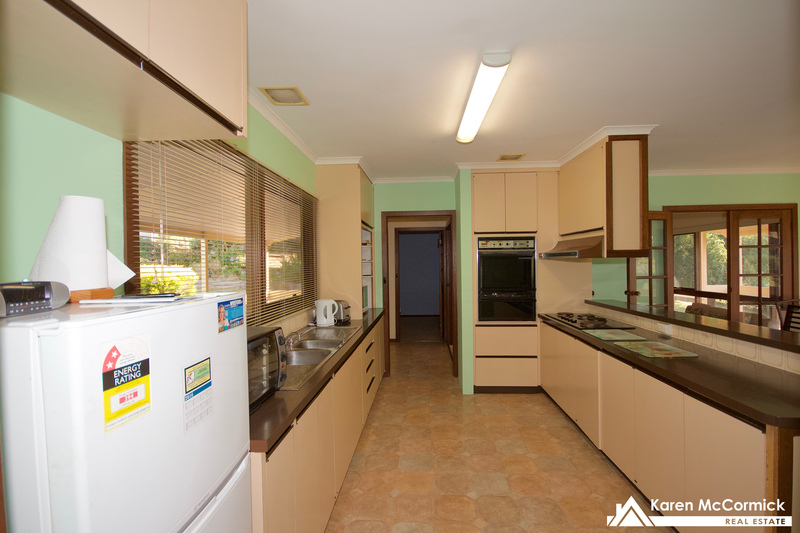 The self contained unit offers a separate bedroom, bathroom and combined kitchen lounge. 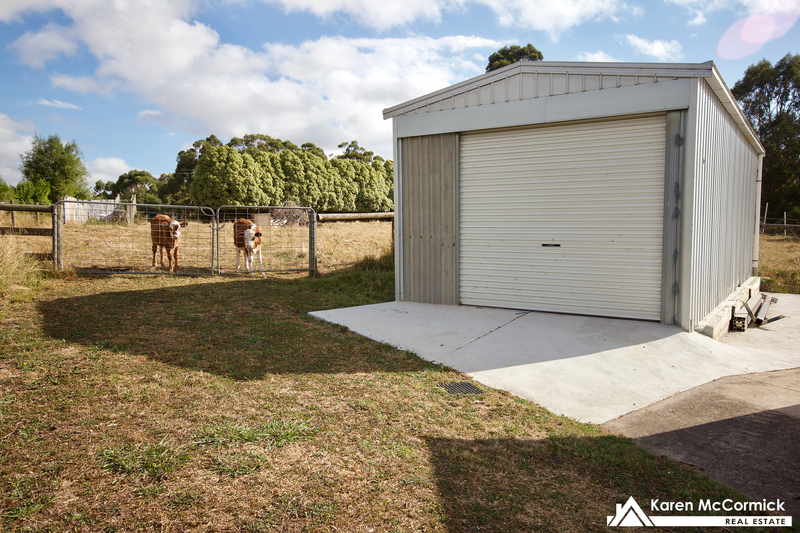 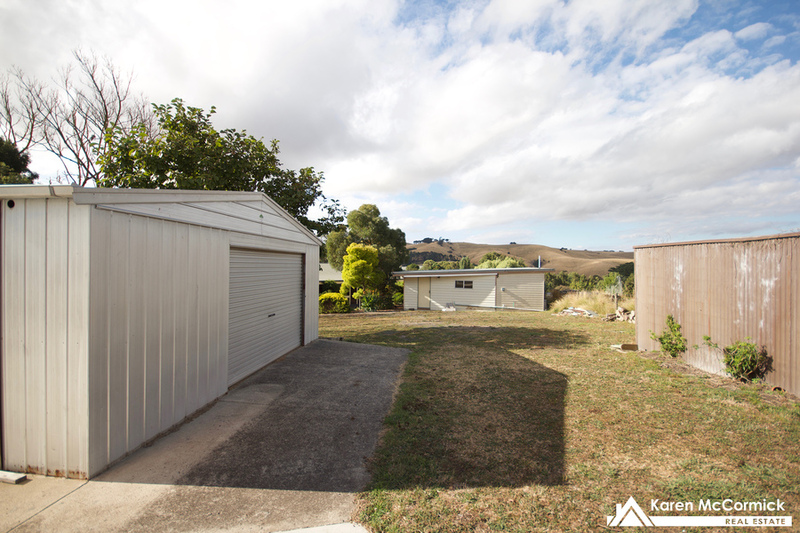 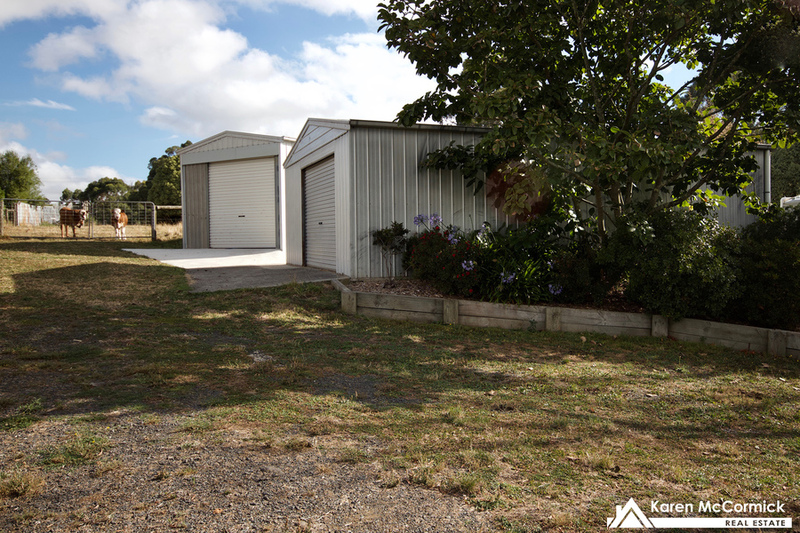 The acreage is supported by great shedding, a good size work shop complete with roller door, concrete floor and power, a shed that was designed to house a caravan or horse float with high clearance, and another smaller shed ideal as a wood shed or similar. 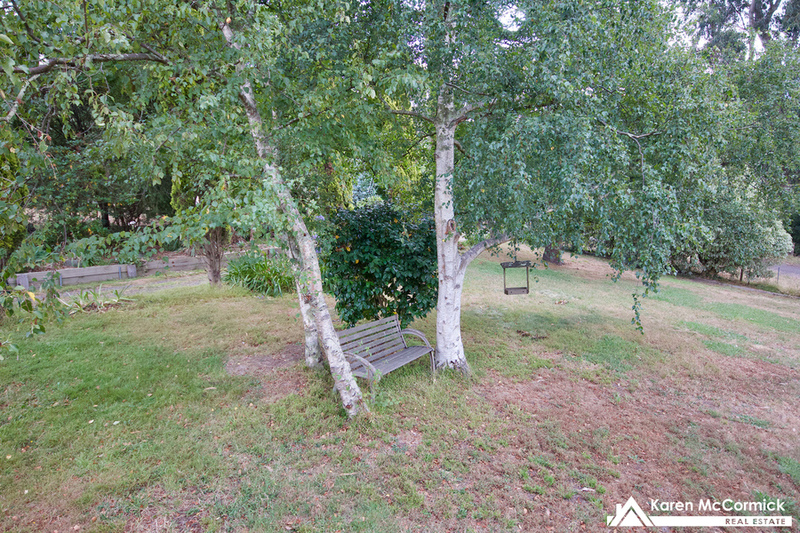 Mains gas is to the boundary and could also be brought in and connected to. 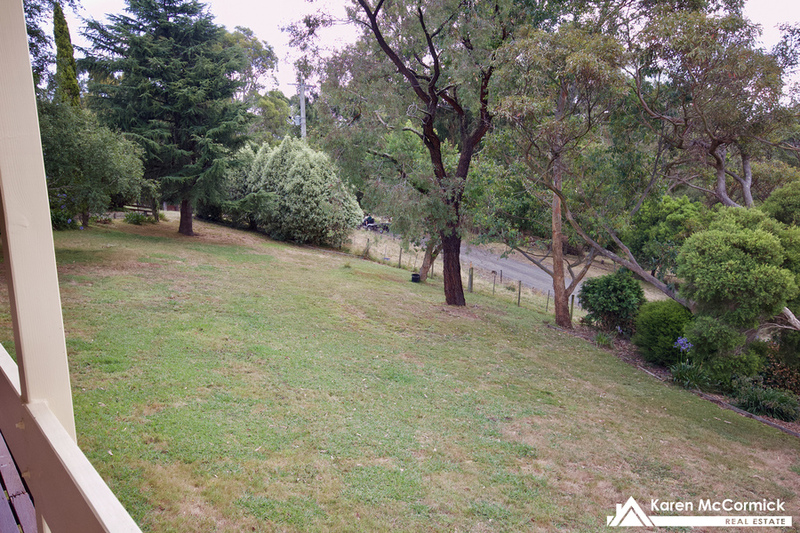 Mains water is connected to the property.